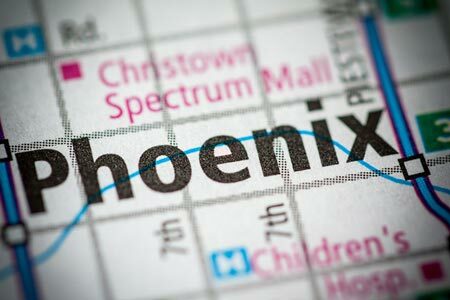 Phoenix, Arizona—Steven Daniels, age 27 of Prescott Valley, was killed in a fiery crash on Interstate 17 near Thomas Road in Phoenix. According to Officer Carrick Cook of the Arizona Department of Public Safety, the tragic sequence started when gas cylinders fell from a flatbed truck. Several motorists took evasive action to avoid impacts with the dangerous containers, including Mr. Daniels, who was riding his motorcycle. Mr. Daniels switched lanes when an SUV in front of him stopped suddenly. A semi-truck behind him was unable to stop and struck Mr. Daniels. Witnesses heard multiple explosions resulting in a large fire ball. Investigators do not know whether the explosions resulted from gas tanks on the motorcycle or truck or the gas cylinders that fell from the flatbed truck. Mr. Daniels was rushed to the hospital in critical condition where he passed away. Several other people involved in the collision were taken to area hospitals with non-life threatening injuries. The driver of the flatbed truck did not stop at the scene and still has not been identified. Officer Cook reported that the crash is being investigated as a homicide. If you witnessed the crash or have any information that could help identify the driver of the flatbed truck, please contact the Arizona Department of Public Safety at (602) 223-2000. We express our deepest condolences to the family and friends of Steven Daniels for this tragic and senseless loss. We also wish speedy and complete recoveries to those injured in the crash.